will take place on November, 4, 5 and 6, 2016. Medical School of National & Kapodistrian University of Athens, Greece. 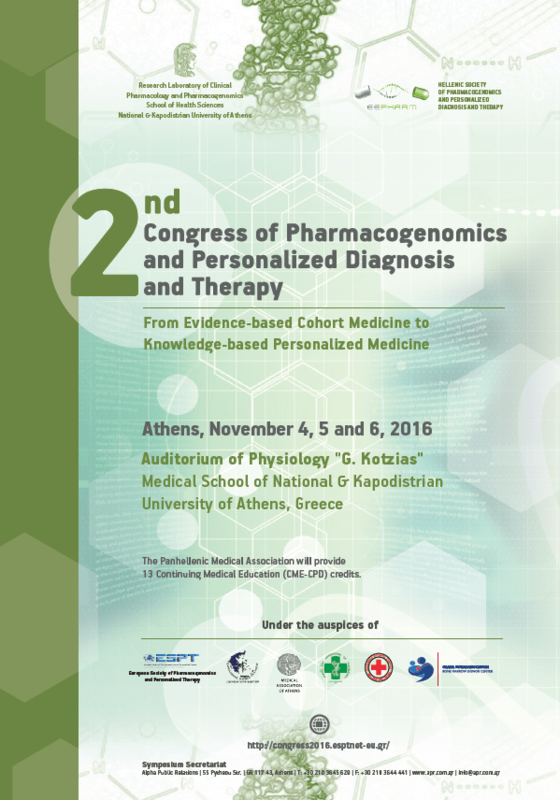 The congress will be accredited with 13 CME credits by the Panhellenic Medical Association. All abstracts and presentations should be in English.